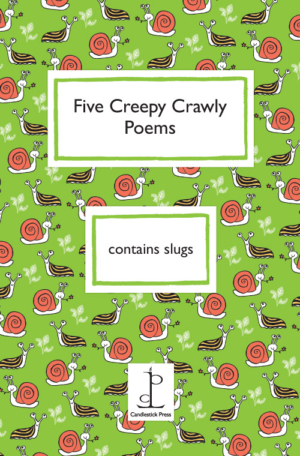 Five Creepy Crawly Poems is for children of all ages, especially those who like centipedes, snails, spiders and slugs. And fleas. And flies. This delightful mini-anthology includes poems by Richard Edwards, Phyllis Flowerdew, Christina Rossetti and William Roscoe and is illustrated in colour throughout by Ruth Green.